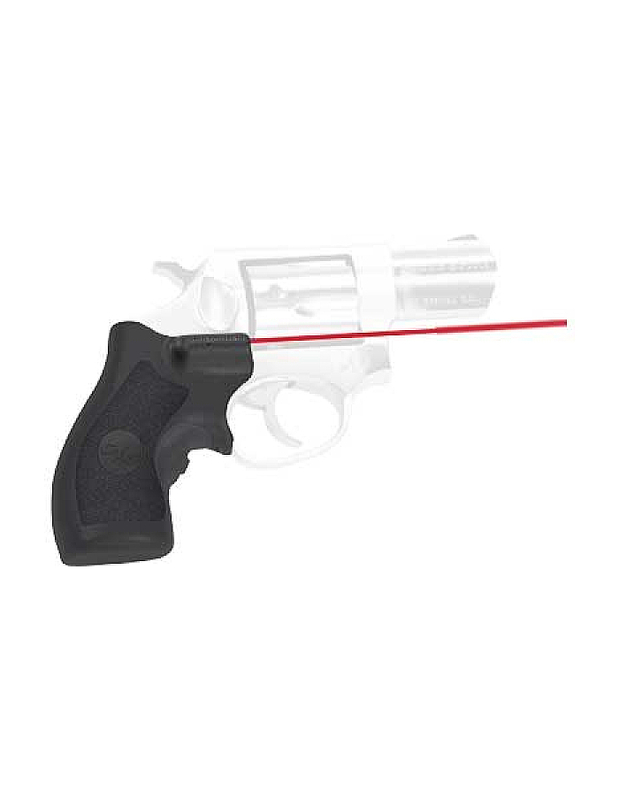 This package includes both the front and rear sights. 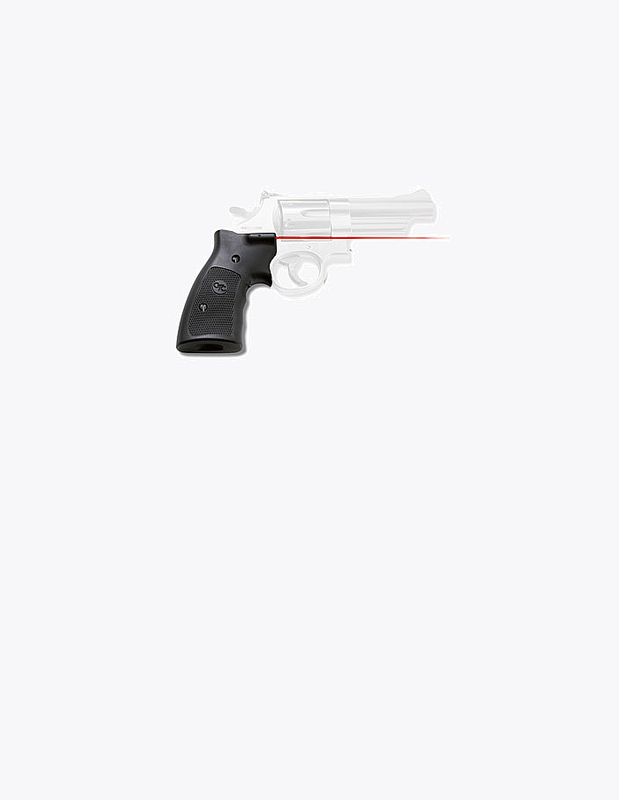 The AmeriGlo Pro I-Dot sights are an innovation solution to pistol sight. The Pro iDot combines the unique front sight designed by Ken Hackathorn with the rear sight from the traditional i-Dot sights. 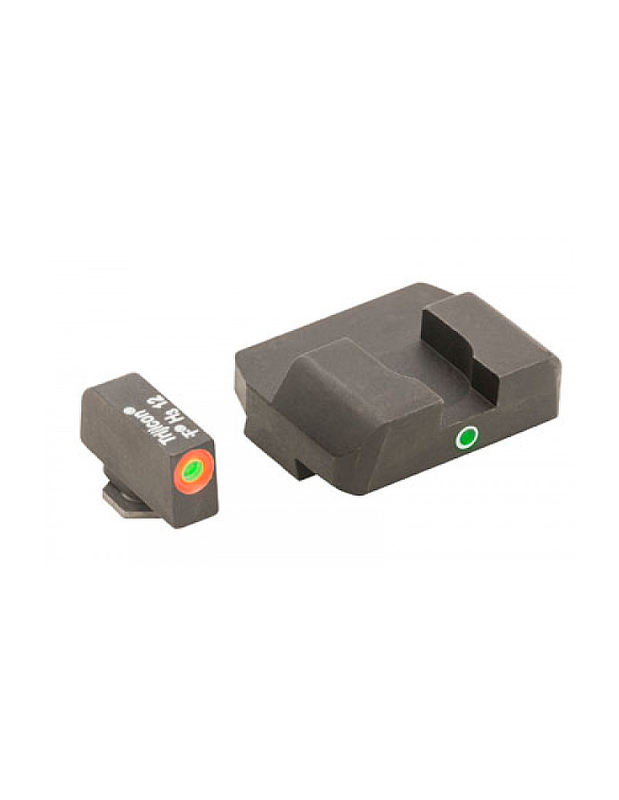 This combination results in a highly effect sight combination that is ideal for defensive purposes. The Hackathorn front sight utilizes a single tritium insert combined with a bright orange surrounding. Due to the orange highlight around the tritium vial, the sight is slightly wider (0.140”) than standard Glock sights. The orange paint is very bright in the daylight and greatly enhances your ability to quickly track the front sight. On occasions where light is no so readily available, the tritium insert glows brightly to provide you with an aiming reference. 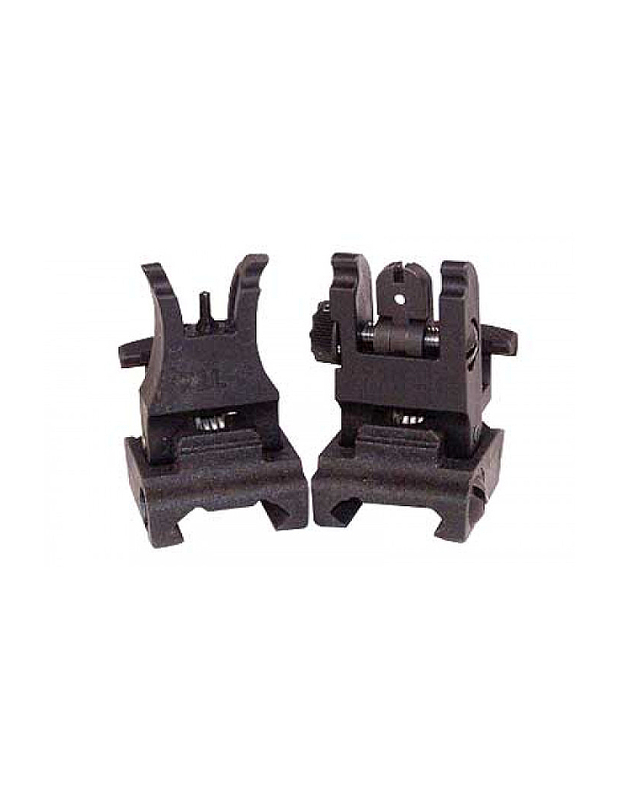 The rear sight is that same sight you will find in the non-pro i-Dot sight from AmeriGlo. 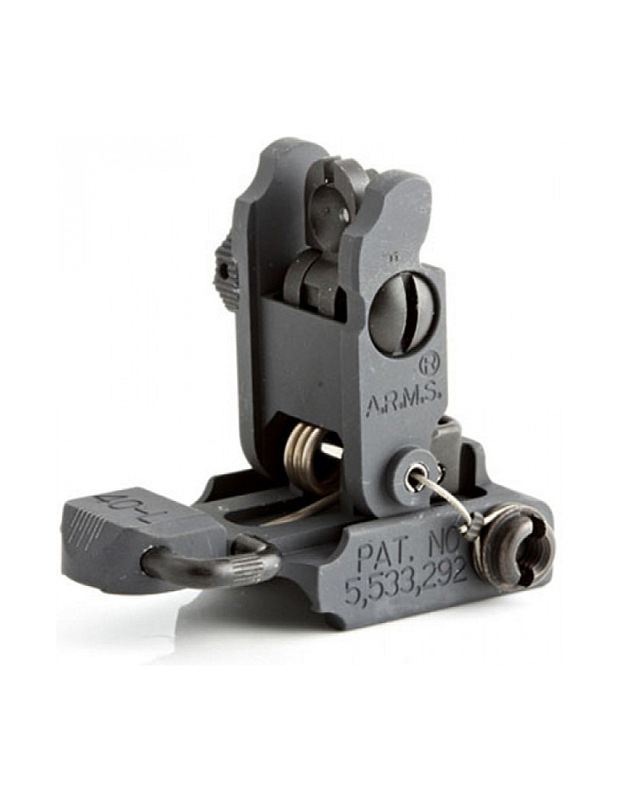 At 0.180”, the rear notch is relatively wide, allowing you ample space to find your front sight. In an effort re reduce possible glare, the rear sight is undercut, so that light is less likely to shine on it. The rear sight is not serrated to avoid potentially distracting your focus. 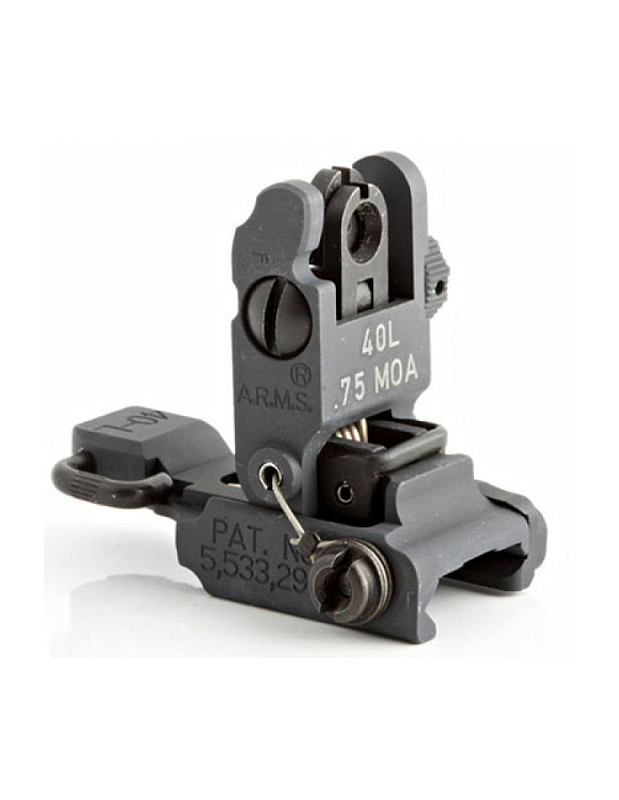 Similar to the front sight, the rear sight uses a single tritium vial to provide an aiming reference during low light. The tritium vial in the rear sight is not out outlined like the front sight. This allows to put your full focus on the front sight. The rear sight has been largely dehorn, to prevent potential snagging. However the forward most edge of the sight is left squared off. This gives the shooter the ability to rack the slide by pressing the rear sight against your holster, shoe, belt, table, etc.